H. Hemmelig is only showing a 1% LD->Con swing. I think its the LDs he is being generous to, not the conservatives. I would imagine more like 3%. The LD to Con swing was massive here in 2010 however so arguably there’s not so much potential for more. I can’t see the Lib Dems getting below the 33% level, which they have been consistently above here since the 1980s. A nearly tripled Labour vote seems a little unlikely. Con hold though all right. I’m with Hemmelig. LDs shouldn’t be below 33%, and certainly not below 30%. A Guildford Tory Cllr has been arrested for claiming to be a barrister. Monika Juneja, 35, claims the complainant was political and racist, but admits she was never called to the Bar. Good to see you’re a Surrey observer too..
I’d have thought a classic David Howell majority (i.e. 21%) is possible for Anne Milton though I think PT Richards has it about right. Groper is maybe pleasuring himself too much with his estimates… the LibDem PPC seems to be all over the place or maybe I am just imagining it.. I guess the council results might give us some clue on Thursday on whether she might get more traction than Milton..
Antiochian-can I just clarify something? When you say that the Lib Dem PPC might get more traction than Milton are you suggesting the possibility of a Lib Dem gain? Last elections were an all-up in 2011.. next is in 2015.. so nothing doing this week.. these were the last results… UKIP scarcely figured candidate-wise.. are they more present in the area now? See that’s the advantage of electing in thirds – gives us lots to get our teeth into. UKIP can take plenty of votes from the Lib Dems as well, as you saw at Eastleigh and are about to find out in the Newark by-election. If UKIP do well here it’s absolutely inconceivable that the Lib Dems would remain at 39%. In any case I do not rate this as being very fertile UKIP territory in a general election, a bit too prosperous. Lovelace ward By-election result: LibDem 555, Cons 225, UKIP 63, Lab 32. LibDem gain from Conservative. 48% Turnout. Apparently according to the local press there has been some falling out among the Tory councillors to do with proposed development on green belt land in this area……explaining a very bad result in what is normally a rock-solid ward for the Tories. If there is one thing likely to produce large swings at local byelections (apart from sordid stuff) it is planning disputes. Yes, the turnout is also double that of most local by-elections. I’m doing my bit, Anne. Tory Cllr Monika Juneja has appeared in Court on 8 fraud offences. Her Trial is set for May 2015. You’ve missed out a candidate! Best Labour result against the Lib Dems/Libs since 1979 but a lower vote than in 1997 and 2001. It would also be interesting to see in which seats the LDs managed to hold second place when they didn’t take it in 1979 and/or 1970. The Liberals were 2nd in Ross and Cromarty and Caithness and Sutherland in 1970. I feel that it’s telling that out of that list Bosworth is the only seat they’ve never actually won- perhaps this could be an indication that in the longterm it may actually be a realistic hope of a gain for the Lib Dems given the extremely active and popular young councillor who has now stood for them twice and could be in it for the long haul if he continues to work the seat? Labour’s vote generally seemed to increase in places where it was less likely to gain them a seat this year. and also generally up more in existing seats . Swanarcadian – didn’t Labour get 2nd in 1997 in Chelmsford’s equivalent seat at the time, West Chelmsford? But they did come second in West Chelmsford in 2001.
l was almost right then….thanks Andy & TheResults. Perhaps l should just call you The for short. Hardly surprising. Any prospective Labour candidate for Guildford is highly unlikely to be on the left, or even the soft left, of the party. You’d be surprised how these things work in practice. Often Labour members in strongly Tory areas are very far to the left, albeit also often few in number. Good riddance to bad rubbish, I know absolutely nothing of the guy but given the result in 2015 he cant have been anything that impressive. I know this is the heart of Surrey so Labour aren’t going to be anywhere close to competitive but with the collapse of the Lib Dem vote and a sub par Green and UKIP performance in a seat with a very high student population Labour should have been able to squeak a (albeit very distant) second place here. ‘I know absolutely nothing of the guy’- but I’ll proceed to mercilessly slag him off anyway. A great example of the kinder, gentler politics, folks. I don’t claim to be Corbyn, I’m not even a particularly big Corbyn supporter. I agree….some of the most left wing CLPs were in Tory areas. Nice to see this outbreak of magnanimity, lol. A good example was the Paddington South CLP that was abolished in the 1960s. That constituency that covered Bayswater never elected a Labour MP. 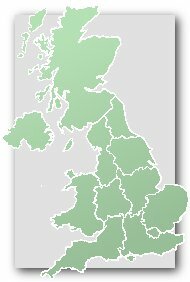 A new moderate CLP was created in its place. If a former candidate is the biggest name to resign, I think both Corbyn and the loyal majority of both his supporters and opponents will be surprised and relieved.